Home Latest News Micromax Canvas Spark 3 Vs Spark 2: What’s difference? Micromax, the Indian smartphone manufacturer has come a long way from when it first started in the vast and massively competitive mobile market of its home ground. The company has challenged bigger names in the smartphone industry in India when affordable and good models are concerned. The company is associated primarily for its strong low cost smartphone model portfolio, and has recently launched two more budget offerings to add to its growing range of smartphones. One of these is called as the Canvas Spark 3, while the other is named as the Canvas Mega 2. Out of these two models, the new Micromax Canvas Spark 3 is the cheaper model and has been priced at just Rs. 4,999 for all those Indian consumers who wish to get decent smartphone experience at a minimal cost. While there are many mobile phones available in the vast and ever growing Indian mobile market even in the price slab of under 5k, they can hardly offer the functionality of a smartphone, but the new Canvas Spark 3 does promise a decent usability and the great convenience of a large 5.5-inch display. Micromax Canvas Spark 3 is the successor to the Canvas Spark 2 and is the third generation model in the Canvas Spark series. 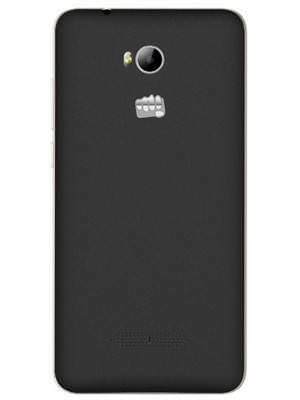 Micromax launched the first Canvas Spark back in April 2015, while the second generation Canvas Spark 2 was quick to follow in the month of September 2015, and now recently, the third-gen Canvas Spark 3 has launched in April 2016. While the first generation Micromax Canvas Spark is no more available for sale in the current market, the Canvas Spark 2 is still available and thus, we are going to have a look at what all has changed in the new Micromax Canvas Spark 3 from its previous generation Micromax Canvas Spark 2. Given the very small price point, many Canvas Spark 2 owners might be looking to upgrade to the latest Canvas Spark 3, and here we are going to look at if this upgrade is worth the money, even though it is super affordable. The display size is the major field where the upgrade in the Canvas Spark 3 model is most noticeable. While the first Spark featured a 4.7 inch qHD display with a resolution of 960×540 pixels with the protection of Corning Glass 3, while the Canvas Spark 2 offered a slightly bigger 5-inch display, but its resolution dropped to a meager 480×854 pixels, so it can’t be actually called an upgrade. Now, thankfully Micromax has fixed this issue and really upgraded the display on the Canvas Spark 3 with a larger 5.5 inch IPS screen with a much better screen resolution of 1280×720 pixel. So, this latest model in the Canvas Spark series comes packed with the largest and the best display. The camera department is a weak spot in the entire series and Micromax hasn’t made any major updates in the camera specifications. The Canvas Spark 3 model comes with the same 8 MP rear camera with LED flash and a 5 MP front camera which was also flaunted by the first Spark, while the Canvas Spark 2 came with a downgraded primary camera of 5 MP and 2 MP of front camera, as it was cheaper than its predecessor. So, here there is no big deal and the original has just returned in the new Micromax Canvas Spark 3. The Canvas Spark 3 comes with the same 1.3 GHz quad-core chipset as that of its predecessor along with the support of 1 GB of RAM. However, while the Canvas Spark 2 offered only 4 GB of internal memory, the Canvas Spark 3 offers 8 GB of onboard storage. The microSD card slot is common in the entire series which offers the flexibility to extend the storage to up to 32 GB. Here again, the Micromax Canvas Spark 3 comes with a significant upgrade over its predecessor. The Canvas Spark 3 comes powered by a 2500 mAh battery pack that provide 22 hours of talk time over the 1800 mAh battery that powered the Canvas Spark 2. So, expect the Spark 3 to offer longer battery backup than its weaker predecessor. The Micromax Canvas Spark 3 also comes with dual SIM slots and connectivity options including 3G connectivity along with Wi-Fi, Bluetooth, etc just like the Canvas Spark 2. Both the low cost offerings run on the Android Lollipop. Nevertheless, the Canvas Spark 3 comes with some handy apps pre-loaded such as Olx, Snapdeal, Skype, Hike, etc, which many users may find useful, while the others might disapprove as bloat-ware. 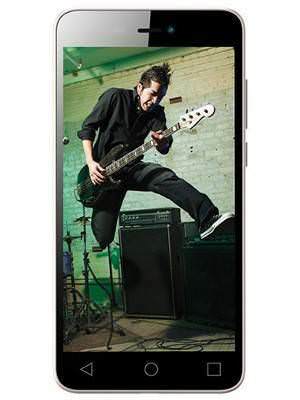 The latest Micromax Canvas Spark 3 launched with a very alluring price tag of just Rs. 4,999, which is what the first Spark model was tagged at, but the Canvas Spark 2 managed to squeeze out another 1000 bucks and was tagged at Rs. 3,999, which explains all the apparent downgrades as well. The Micromax Canvas Spark 3 is offered for sale only on Snapdeal like its predecessors and went on sale in the Indian market on 7th April 2016. The Micromax Canvas Spark 3 is another super affordable smartphone in the block after its two preceding models, but while it manages the same aggressive pricing of the first-gen model, the Spark 3 is certainly an improved model. One can find more detailed spec comparison between the Canvas Spark 2 and the Canvas Spark 3 on 91mobiles.com. 91mobiles.com will give you a detailed look on these two models spec-sheet difference, while you can also find similar mobile phones in the same price range on the site. While the Canvas Spark 2 was actually a downgraded model, the new Canvas Spark 3 stands tall against it, and if anyone already owns the Canvas Spark 2 and is annoyed about the cheap smartphone experience, then upgrading to the Micromax Canvas Spark 3 is definitely a good idea. 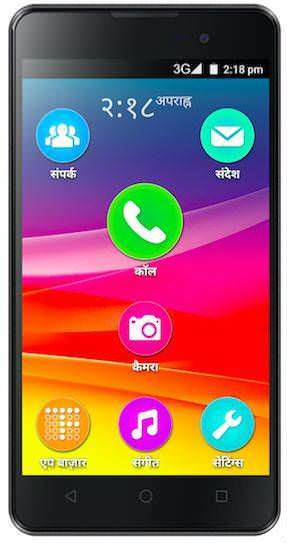 Moreover, the Micromax Canvas Spark 3 is a superb budget buy for all the first time smartphone users of the country. Thanks to Micromax, many mobile users will now be able to experience a decent smartphone model with a large screen without going out of their small budget.